Great keycaps, feel really solid and look great. I have also ordered the white ones and will order the black ones when they are back in stock. I also believe they are cherry profile but I'm not 100% sure. I feel like they'll last longer than the keyboard I'm typing on. P.S. they shipped super fast. I've had prime packages take longer than this took to arrive. These keycaps are really nice. I noticed they are a little tight compared to my existing cherry mx but I don't think it's because of Gateron vs. Cherry. I prefer the texture of my Leopold PBT keycaps but this doesn't remove any quality to Gateron one. I would have liked side printed like on my Leopold because even if I don't look on my computer often, I still need to look down when I do shortcuts with one hand or when I typed complex password. Thick caps with no flex on the 1u keys. Nice texture, though not quite as textured as HHKB PBT keycaps. If there was an ISO enter, I think you'd be able to have any layout you wanted with this large variety of caps. My biggest complaint is the flash left over from the moulding is quite obvious on a lot of the caps. 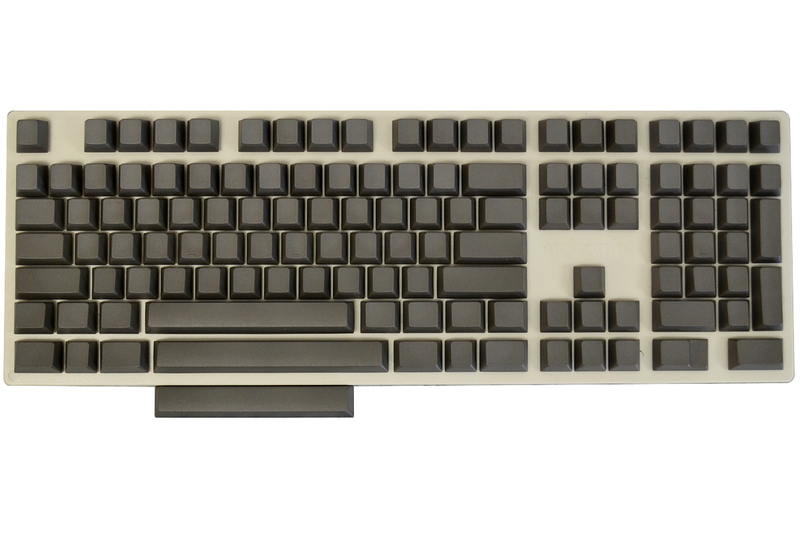 Gateron PBT is known in the mechanical keyboard world as one of the best, highest quality PBT keycap manufacturers. It is rumored that even EnjoyPBT, another top manufacturer, actually uses Gaterons and adds their own legends. Anyways, compared to the commonly known Vortex PBT (Pok3r, etc. ), these Gaterons are thicker, more uniform, and in the beloved Cherry profile. Coming from Stock ABS sets & Vortex PBT, these are a true joy to use. I picked up both the Dark Grey & Black sets and they're both amazing. Even the spacebars have very little deformity, which is unusual, due to the natural of PBT plastic. I have a strong feeling I'm going to be sorely disappointed by Signature Plastic's DSA !! Buy with confidence. Mechanicalkeyboards.com, you guys rule!